I have been able to use the GSI Stainless Camper on multiple occasions over the past months. Most recently, I took the system down to Edisto Beach, on the South Carolina coast. 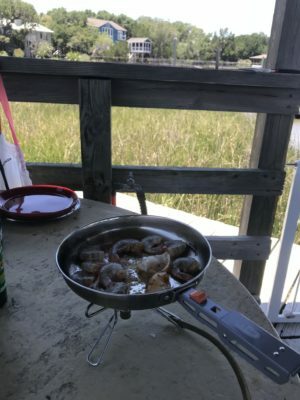 For lunch one day, I had the chance to catch some wild shrimp in the salt marsh behind our vacation rental. 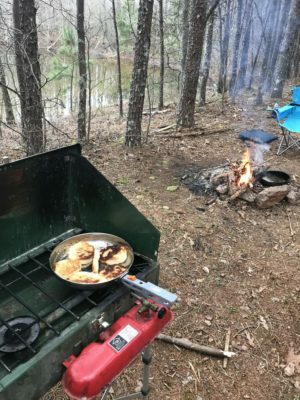 I got lucky and had enough to fry up for lunch after only a few casts of the cast net. 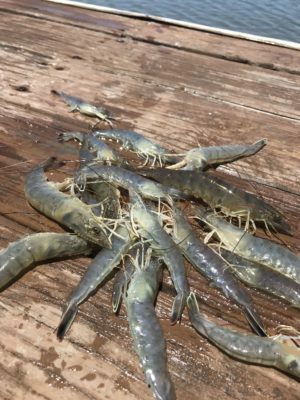 Fresh caught South Carolina shrimp. 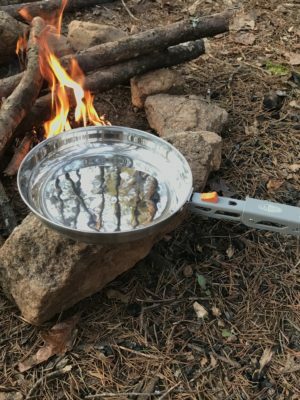 My favorite part of the Glacier Stainless Camper kit is the fry pan. 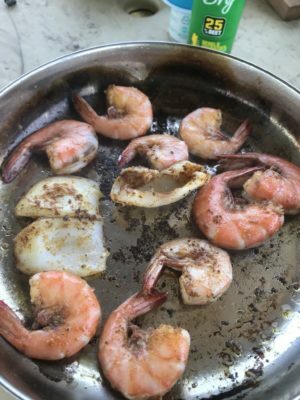 I used it with my butane stove to quickly pan fry the shrimp and a couple of squid that I also caught with the cast net. The pan provided a good, even heat, and was easy to clean up after frying the fresh catch in butter. Hard to complain about that lunch! Fresh catch being pan fried. GSI really outdid themselves with the Glacier Stainless Camper. It has everything that is needed to cook and eat off of (except silverware and stove) for up to four people. Due to it’s weight and size, the sweet spot for the kit is probably car camping or trips where weight and space aren’t an issue. 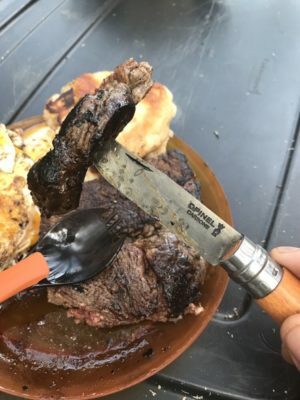 After nearly 4 months of use, the only visible wear is a patina on the fry pan and scratches on the plates from eating off of them. All-In-One: short of a stove and utensils, the Glacier Stainless Camper has everything needed for four people (eating-ware) to eat off/out of. With the two pots and the fry pan, there is plenty of real estate to cook a large meal for more than four. Secure and Tidy: Perhaps one of the best features of the kit is that each piece nests snugly and securely inside the sink. 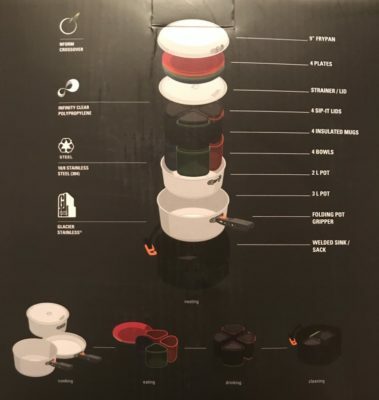 While the whole kit isn’t small (8.4 x 8.4 x 5.4″), it amazes me how all of the cups, bowls, plates, pots, and pan can all fit in that one package. Another thing: when packed down, nothing rattles. Seems trivial, but a constant rattle can drive one crazy while on the trail. Quality: The quality of the entire set is great, especially the pots and fry pan. I can see myself using them for years to come. Folding Gripper, Meh: the gripper works great if only using one of the pots or the fry pan. This problems start when I had to attempt to unlatch the gripper from one pot/pan to the other. It’s a difficult transfer, and depending on the heat source, can be dangerous at times. In the end, I left the pot gripper on one pot/pan and used a traditional gripper to remove the other two. Another draw back that I experienced with the folding pot gripper was that when left attached to the pot/pan, it could get very hot from the stove/fire. Mug Insulation: This isn’t a very big gripe, but I did find that when I was washing the mugs, the insulation surrounding them took a while to dry out. Again, not a big deal, but it’s not something that can be dried off easily and meant that I had to wait to pack and store the whole kit so as to avoid mold/etc. 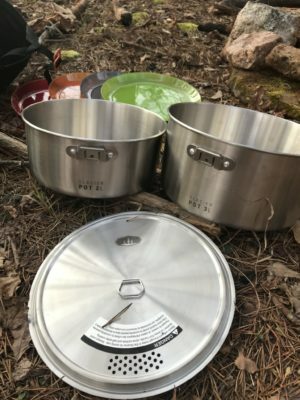 The GSI Glacier Stainless Camper is a fantastic cooking and eating kit. I plan on using it for many years to come. Thanks to GSI and 4AllOutdoors for the chance to review this product. 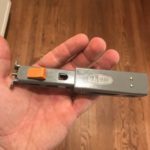 Since my initial review, I have been able to use the GSI Glacier Stainless Camper on two camping trips in the Upstate of South Carolina. 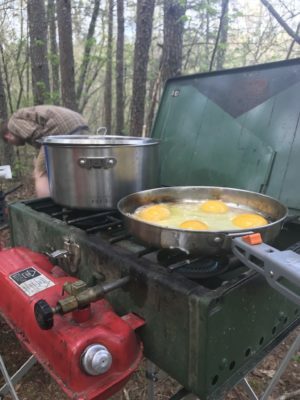 We were essentially car camping, so I did not have to worry about the weight/size of the cook set. I used the set to cook and eat for both breakfast and dinner. I am going to review the Glacier Stainless Camper on three criteria: usability, cooking ability, eating ability. Perhaps one of the best parts about this cook set is how it packs into itself compactly and securely. There are many pieces to this set, and they all nestle neatly and quietly into a single unit. It’s also fairly intuitive how to nest all of the pieces, which was refreshing. One place where the cook set does not shine is in clean up. 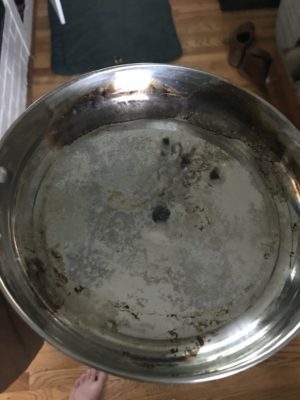 To clean every pot, pan, cup, bowl, and sink takes time, a lot of it. I guess that this is to be expected with something with so many items. The insulated sleeves on the mugs take quite some time to dry out once they get wet. I’ll probably make sure to wash them carefully next time, only getting the inside and rim wet so that I don’t have to wait on the insulated band to dry. There was a little bit of wear on the kit after using it a few times. The fry pan has a patina to it after use and the plates are scratched. Neither of which affect the function of the set. Using the fry pan on the Coleman stove. 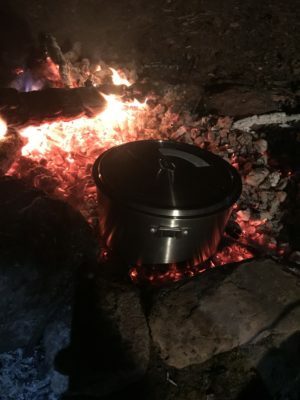 I wanted to see how the cookware performed on multiple cooking “platforms.” I use the 2 and 3 liter pots over the coals of the fire, Coleman gas stove, and a butane stove. 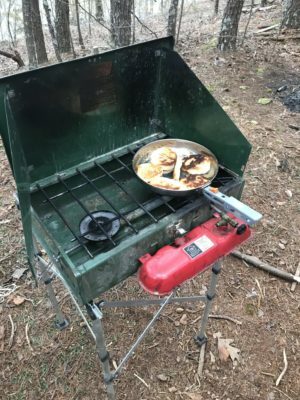 I only used the fry pan on the Coleman stove to make breakfast. I noticed no deficits with any of the cooking platforms in heat conduction and performance of the pots and pans. 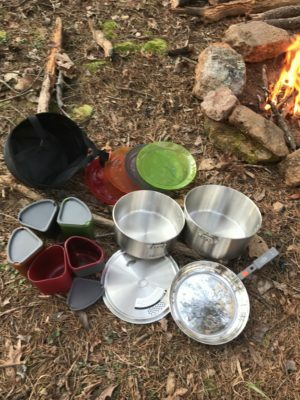 One thing to note is that these pots and pans have a larger diameter than many backpacking pots and pans. Some of the smaller stove platforms may not be adequate enough to safely hold the cookware of the Glacier Stainless Camper. Making biscuits with the fry pan. Heating water over the fire. 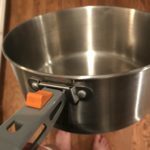 The Folding Pot Gripper was something that I was eager to test out. I used it mainly with the fry pan on the Coleman stove. What I liked about it was that it securely latched on to the pots, and stayed there, unlike the traditional pot gripper that only remains attached when holding it. However, when trying transfer the Folding Pot Gripper from the pan to another, I found it difficult to release the locking mechanism and reattach it to the other pot. Since the latch mechanism works by sliding the gripper upwards until the latch catches, it means that I had to simultaneously apply downward pressure to the pot/pan at the same time. This two handed maneuver is annoying and dangerous if the pot/pan is hot from flame. The pots and fry pan all worked well. I actually enjoyed cooking with them and found them able to cook a wide variety of camp food. For each of the meals during the two trips that I went on (dinner and breakfast), we used all of the components of the eating system. 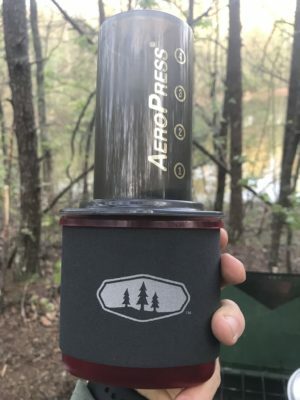 One of the nice surprises that I found was that my AeroPress fit snugly on top of the coffee mug, making it easy to brew a cup of good coffee with the Glacier Camper. Steak, eggs, and biscuits for breakfast. Overall, I have been impressed with the GSI Glacier Stainless Camper. Check back in about a month for my final update on the cook set. From my initial inspection of the set, I would say that the Glacier Stainless camper has (almost) everything needed for 4 people to cook and eat on. More on the “almost” in a bit. Weighing in at 3.8 lbs with dimensions of 8.4 x 8.4 x 5.4″ this set is geared more toward the car camper and short hiker than for backpacking. Glacier Stainless Camper system packed. Using GSI’s nForm Crossover system, the Glacier Stainless Camper set nestles snugly within itself in a sack that doubles as a kitchen sink as well. (1) 9″ Frypan: Stainless steal pan with integrated latch to use with folding gripper. (1) 3 Liter Pot: Stainless steel pot with integrated latch to use with folding pot gripper. (1) 2 Liter Pot: Stainless steel pot with integrated latch to use with folding pot gripper. 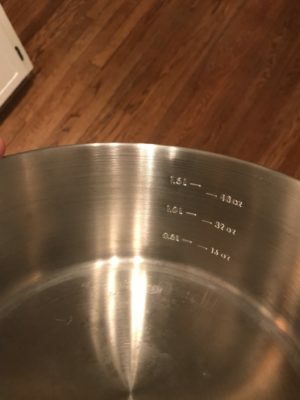 Both the 3 and 2 liter pots have liter and ounce measuring lines for convenient cooking. The straining lid can also be used with each of the pots. (1) NForm Pot Gripper: the Folding Aluminum gripper saves space as it can be packed inside of the insulated mugs. It can be used with both pots and the fry pan. (4) Insulated 14 oz Mugs: these mugs conveniently nest inside the 14 oz bowls. A foam liner surrounds each mug to provide insulation and protection for your hands from hot liquids. Insulated mug next to bowl. 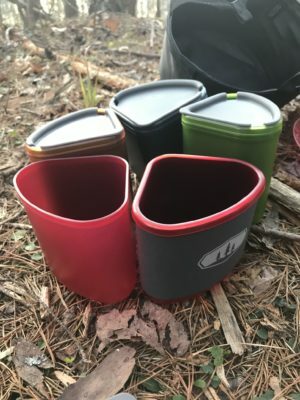 (4) “Sip-It” Lids: these lids fit snugly on the top of the mugs to allow additional insulation, as well as comfortable and less-mess drinking. (4) 14 oz Bowls: these “bowls” are really just cups that the mugs nest inside of. Non-insulated, I think they would be better named “eating container.” Either way, it is nice to have four additional containers that take up so little space. 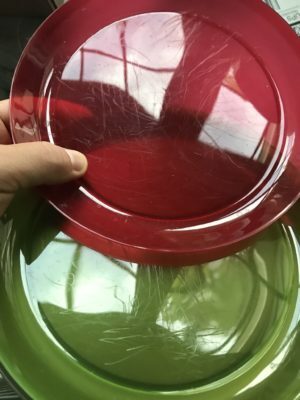 (4) Plates: Made of Infinity Clear Polypropylene, these color coded plates are nothing special, but they appear to be durable, easy to clean, and nest nicely into the whole system. 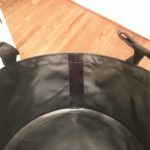 (1) Welded Sink (aka Sack that holds and does everything): This is my favorite part of the Glacier Stainless Camper set. 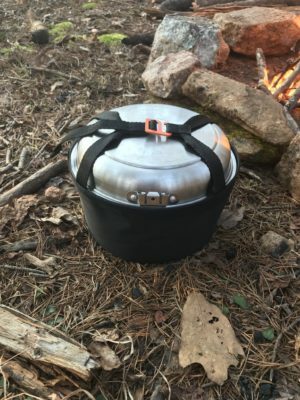 It really shows the ingenuity of the nForm Crossover system in how the storage sack can transform into a literal kitchen sink that is impermeable to water so it can be used to wash dishes in (or put out a camp fire). This is an extremely well thought out cooking and eating system. It’s designed so that it’s easy to pack everything inside itself without getting confused and secures snugly without rattling around too much. At the beginning of this review I mentioned that the Glacier Stainless Camper had “almost” everything. I think it lacks one thing: eating utensils. Short of that, this has everything needed to cook with and eat off of for four people. The two pots and fry pan will allow for a wide range of cooking options for all meals. Having two pots means that there is always the option of cooking food in one, while heating water in the other for hot drinks or cleanup afterwards. I am especially excited to give this set a whirl for breakfast, especially with the fry pan and mugs in mind. I plan on using this set while doing some car camping and even picnics for all meals. 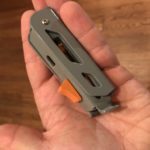 Check back in about a month to see my first update after field testing the Glacier Stainless Camper set. 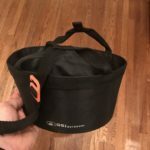 Thanks to GSI and 4AllOutdoors for the chance to review this product!